As an architect your profile includes to plan, design and review building construction. 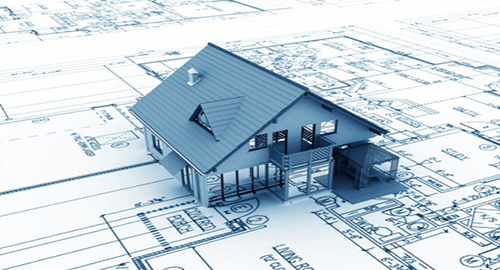 Architects provide services to new construction as well as renovation and alteration of existing buildings. Professionals having a qualification in this line are in demand. Every building small, medium sized or big requires talented and skilled architects who can design the building effectively which are functional, safe and as per the requirements of the clients. An architect closely works with surveyors and engineers to ensure the design meets all the requirements. Architects need to consider every minute part from the smallest design detail to the largest construction details. Architects are in demand all over the world. If you are a good planner and organizer, have an eye for accuracy, creative as well as practical and have good communication and relationship management skills then this is the line for you. Starting their work by making sketches and models, they are involved in the process of overseeing the construction of the new building or restoration process of the existing building. Architect is in the CSOL list of Australia as per the current information available from Department of home affairs website. This means that if you have a qualification in this line with relevant experience you may have a career in Architect and design in Australia if you fulfill other policy conditions. A recognized qualification from Australia will make you eligible for points for study in Australia. To work as an Architect in New Zealand you need to be registered with the NZRAB- New Zealand Registered Architects board. To continue working as an architect you are required to be reviewed every five years which is done by a process called Competence Review. This is to ensure that they are still competent to work as an Architect in New Zealand. Architects feature in the NOC- National Occupation Classification list for Canada as per the current information. If you have a qualification in this you may have a career in Architect and design in Canada. A degree from Canada can give you a good head start. Canada is a big country with every province having its requirement for profession. To work as an architect in Canada you need to be licensed. You need to have a qualification in Architecture along with experience and then pass an examination to be licensed as an Architect in Canada. The qualification from Canada must be approved by Canadian Architectural Certification Board (CACB). Alternatively one may complete an apprenticeship program through Royal Architectural Institute of Canada Syllabus Program. The association of Architects in each province of Canada offers internship programs. There is range of options for students to do Architectural and Design course from developed country like- Canada, Australia, New Zealand, Germany. Depending on your current qualification in your home country you may choose to do Diplomas, Advanced Diplomas, Graduate Diplomas, and Bachelors, Masters, and Post Graduate Diplomas, Associate degree in New Zealand, Canada, Australia, and Germany.